I pass by this machine daily. It's one of those blood pressure/heartbeat/weight thingies. 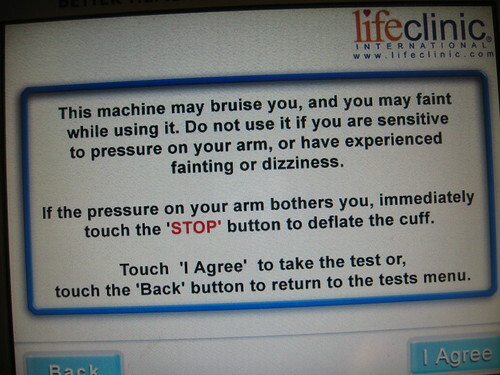 This is the warning message that precedes the blood pressure determination. My blood pressure's fine. I just sit here because it makes me smile. That's the kind of warning label that would make my blood pressure go up a bit.